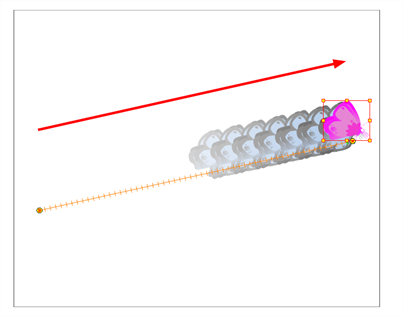 In Harmony, you can animate objects by drawing them on their individual layer, then positioning them at different locations on different keyframes across the timeline, creating a motion path. The same principle can be applied to the scene's camera, since it is a layer itself. You can create a motion path directly on layers (animated layers). Harmony keeps track of the animation by storing each parameter of each layer in their own function curve. When you add a keyframe to a layer, a keyframe is created on each of these functions, and transformations done on a layer via the Camera view are translated into coordinates which are then stored in those functions. It is possible to edit these functions individually using the Function view, but that is rarely necessary, as Harmony provides easy-to-use tools for visually controlling trajectories and timing in the Camera and Timeline views. 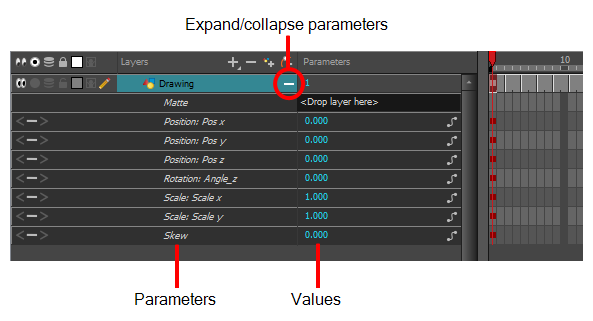 If your layer has a parent peg and you want to animate the drawing layer directly, make sure the Peg Selection Mode is disabled in the Tool Properties view. In the Tools toolbar, enable the Animate mode. This allows the Transform tool to affect the position and size of a layer at the current keyframe only, whereas it would otherwise affect the layer's position and size throughout the whole scene. From the top menu, select Animation and make sure the Stop-Motion Keyframe option is unchecked. This will make it so Harmony automatically creates the animation between the animation keyframes you create. 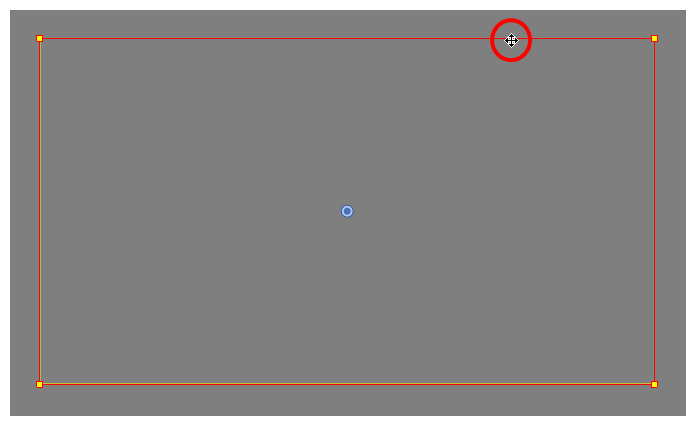 Select the cell where you want to create your second keyframe. right-click on the selection and select Insert Keyframe. The second keyframe appears in the Timeline view, along with a line going from your first keyframe to your second keyframe. This indicates that every frame in-between will be animated by Harmony. NOTEIf you animate layers on the Z axis, you may want to preview your animations from the Top or Side views during playback. However, playback is disabled by default in those view. To enable them, from the top menu, select Play > Enable Playback > Top View or Side View. From the top menu, select Windows > Top or Side. From any view already open, click the Add View button at the top-right corner and select Top or Side. From the top menu, select Insert > Camera. From the Layers toolbar, click the Add Layers button and select Camera. A new camera layer is added to the scene and appears in the Timeline view. Select the Camera layer and drag and drop it under the new Peg layer. 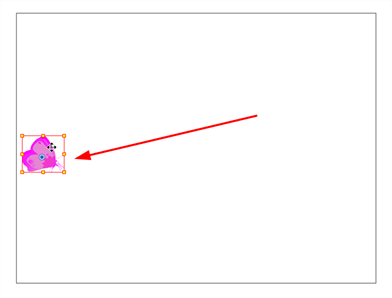 Or delete the misplaced Peg layer, select the Camera layer and click the Add Peg button again. You can also press Ctrl + P (Windows/Linux) or ⌘ + P (macOS) to create a peg and connect it to the camera.